John is a Senior Deputy District Attorney at the Clackamas County District Attorney’s Office. While supervising the Juvenile Unit of the District Attorney’s Office from 2007‐2010, John became familiar with the fine work done at Parrott Creek and eagerly sought a position on the Board when one became available. John recently took up running as his most active hobby. Donna is a Nonprofit Organization Consultant, and has more than 30 years of experience in academic and nonprofit development management for major universities in California and as an advisor to nonprofit organizations. Donna previously managed public affairs programs for 20 years in the aerospace industry. She is also an active community volunteer in Wilsonville and named Wilsonville Heart of the City in 2012 and Wilsonville First Citizen in 2014. She has served on the Parrott Creek board since August 2009, and has been board chair since 2012. Butch is the CEO of Supply Source, an international packaging equipment, supply, and distribution company with facilities in Portland OR, Memphis TN, Glasgow Scotland, Shanghai China, Shenzhen China, and Chongqing China. He is currently serving on the Happy Valley Parks Commission, Eastside Timbers (Happy Valley, Cascade, Three Rivers Soccer Clubs) and spent several years on the YMCA Advisory Board, WYSA Advisory Board and the North Clackamas School District Budget Committee. Butch joined the Parrott Creek board to support an incredibly well managed program that teaches young men how to make decisions that will give them a second chance to become successful. Gayland is an owner of Perlo Construction, a general contractor and construction management firm located in Portland with a satellite office in Phoenix. He graduated from Oregon State University with a degree in Construction Engineering Management. Gayland enjoys spending time with his wife, Patty, six children and grandchildren and activities like boating, hunting and racing around the sand dunes in Southern Oregon. He is passionate about today’s youth and their futures. Gayland strongly believes the work and development at Parrott Creek gives young men the direction and skills they need to succeed. Kurt Ruttum is a partner with Tonkon Torp LLP, a Portland, Oregon law firm. Kurt’s practice emphasizes mergers and acquisitions, real estate transactions, private equity, public and private securities offerings and general corporate counseling. He is a member of the firm’s Managing Board. Kurt has served as an executive of two Portland-area public companies, including as the Chief Financial Officer of a software development company. Ed is a retired business owner who moved to Oregon from New York in 1977. He was one of the founders of a major health care company, later acquired by an international corporation. After a short retirement, he became chief operating office of another, much smaller company in a different sector of health care until that was sold. He has been active in numerous community organizations as well as serving on the boards of Portland Opera and Chamber Music Northwest. 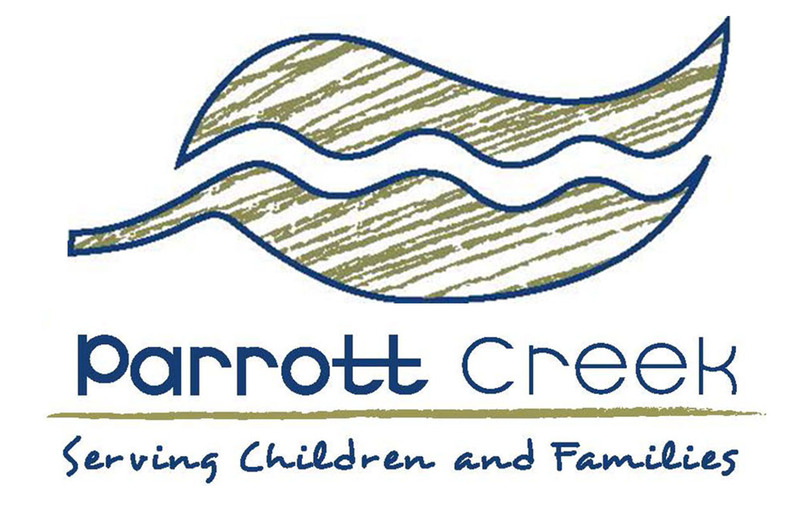 He joined Parrott Creek because of its dedication to working with troubled youth, one of his passions. He believes that these young people represent our future and deserve our attention. Glenn’s professional and personal mission is to improve the lives of others—especially the poor and vulnerable—and has served in several health care leadership roles for more than 20 years. With a heart for providing young people with second chances, Glenn is drawn to the mission of Parrott Creek to build stronger families and safer communities. Glenn is driven to help Parrott Creek achieve even greater success throughout their next 50 years of service to Clackamas county youth and families. Presently, Glenn is the Executive Director of Strategy and Operations of Pharmacy Services at Providence St. Joseph Health. He is responsible for guiding the strategic growth of a variety of pharmacy assets spanning Providence’s seven states. Glenn and his wife, Hannah, are parents to four children, reside in Happy Valley, and are passionate about ways to improve their community. A graduate of Lewis & Clark Law School, Ulanda Watkins was sworn in as judge of Clackamas County Circuit Court August, 2017. Judge Watkins is a former defense lawyer and managing attorney at insurance firm GEICO with 21 years trial experience in civil, criminal and juvenile law. Judge Watkins is a lifelong Oregonian and is among eight judges Gov. Kate Brown appointed to Multnomah and Clackamas County Circuit Courts, as well as the Oregon Court of Appeals. Judge Watkins is the only judge of color in Clackamas and the third Black woman judge on the Oregon state bench. Judge Watkins is also the first African American judge to sit on the bench outside of Multnomah County. Among many other civic responsibilities and commitments, Judge Watkins previously served on the Governor’s Juvenile Justice Advisory Committee. Kristen McNeese is a licensed clinical social worker (LCSW) specializing in individual adolescent and teen therapy, and maintains a private practice in Oregon City, Oregon. Kristen has over ten years of experience in the field of social work supporting individuals and communities in a variety of environments including the juvenile justice system, education and advocacy work, residential treatment, community-based work and non-profits. Kristen embraces a client-centered, strengths-based and trauma informed practice modality. Kristen believes deeply in the values of social justice and in the mission of Parrot Creek. In this mission, Kristen is committed to bringing a voice as well as social service supports to underserved populations in our community.